If you don’t know Kamran Sheikh by name, you would most definitely know his work. Over the years, Sheikh has proven that he’s got the Midas touch with every restaurant in which he has been involved. Be it projects he has consulted on like the famous Zouk in Lahore, which is going on strong 20 years since its inception in 1994 or Veranda Bistro, which has become the new go-to place for fine dining. Even restaurants he’s personally invested in, such as Gun Smoke and One Potato Two Potato, all of his projects provide a unique dining experience to their loyal following of customers. “If you don’t risk big, you don’t win big, ” said Sheikh during my brief interview with him. All of his previous projects and now the Lahore Cafeteria are a physical testament of just that. Situated on the famous Mall Road, Lahore Cafeteria is not one of the fancy destination restaurants that we have grown accustomed to frequenting in recent years. The ambience is clean, bright and simple. The floor and wall mosaic has been restored to its old glory. While I went to the cafeteria in the evening, I can only imagine what the experience must be in the afternoon when it is bustling with a crowd. It is fair to say that for the time that you are there you are transported back to the glory days of the Mall. Unlike Kamran Sheikh’s other restaurants, Lahore Cafeteria just by virtue of its locality caters primarily to office- goers on Mall Road. Since the dishes are ready to be served, there is no waiting for service, which makes it ideal for an express meal. The prices and food service has also been designed to cater to this customer profile, and it also attracts family and friends looking for an economical yet quality evening meal. The cafeteria serves three distinct meals a day and is open for lunch, tea and dinner. 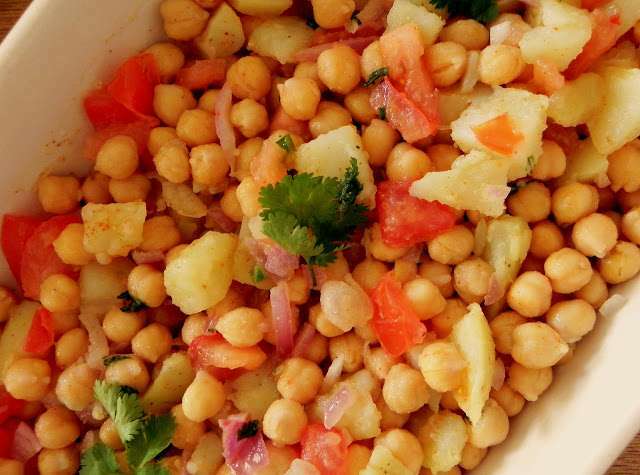 Lahore Cafeteria is already attracting food lovers from a wide cross-section of the society. During my visit I was pleasantly surprised to see families and groups of men and women from various socioeconomic backgrounds enjoying their dinner under one roof. The service at the restaurant is excellent. I haven’t seen so many smiling waiters, so eager to serve in a very long time. But while the waiters are on their toes catering to the customers’ needs from table to table, you have to serve the meal yourself as one would in a cafeteria, queuing up in a line and loading a tray with servings of your choice. The menu consists of a variety of Pakistani and ‘desi’ Chinese dishes including local favourites like chicken achari, chicken karahi, handi, mutton badami qorma, tamater gosht, a variety of daals and vegetable dishes, chicken chowmein, sweet and sour chicken, etc. Each plate has a price tag and a basic meal with one main course and a side starts at about 500 rupees per person. You can complement your food with sweet or salty lassi and desserts like fruit trifle, firni, kheer and shahi tukray, which will rack up a bill within a thousand rupees. Not bad for a good three course meal. My personal recommendation would be the local dishes, which were all distinctly delicious. Given that the venture is still only a few months old, I was pleasantly surprised to see Kamran Sheikh supervising the staff himself during the evening rush hour. His commitment to the project was visible as he demonstrated service standards to the waiters. “It’s important to introduce hygiene standards to restaurants as done everywhere in the world, ” Kamran said. This has been a key concern for food lovers across Pakistan. “If it can be done in other countries, it can be done here too. It’s just a matter of training, ” he added. Kamran Sheikh conceived the idea of Lahore Cafeteria a few years ago. Since then he was looking for the perfect space that he found in the E Plomer Building where the Cafeteria is housed now. 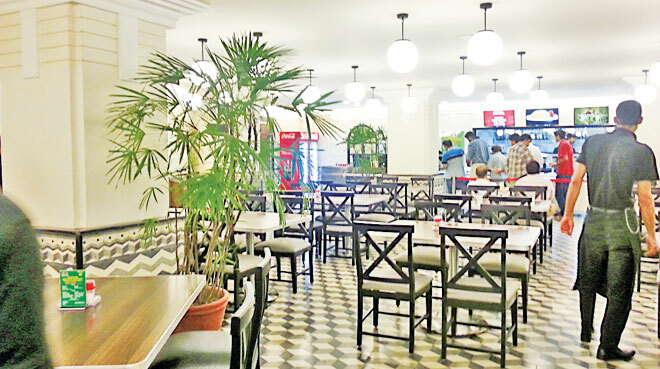 “I wanted to bring the food culture back to Mall Road, ” he explained, “I just needed the right place to bring it to life.” In addition to the cafeteria, the location also has an upper hall for large gatherings and private parties with a capacity of over a hundred people. Kamran hopes that he can re-introduce and popularize the cafeteria experience with Lahore Cafeteria, which provides customers a quality culinary experience at economical prices (it’s economical in comparison to the sub standard albeit pricey food most restaurants are serving these days). While it’s not a fine dining destination, Lahore Cafeteria is highly recommended for a fuss-free meal with colleagues, friends or family. Keep expectations low and get ready to be pleasantly surprised. As printed in The News on Sunday .